First Christian Church has a relatively long history as churches go, reaching back as far as the late 1800's, just as Eureka Springs was starting up as a town. The church began out in a small white church, getting a surname of "The Little White church." In the 1920's another Christian church was established as the "Mountain Street Christian Church", holding services in the old Calvary Baptist Church building on the corner of Mountain and White streets in the historical district of Eureka Springs. 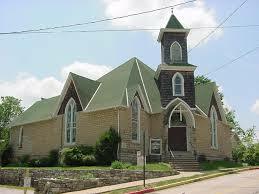 In the year 1932 a fire destroyed much of Eureka Springs, including "The Little White Church." The only things saved from the church was the old organ, pulpit, three chairs, and the old Bible. 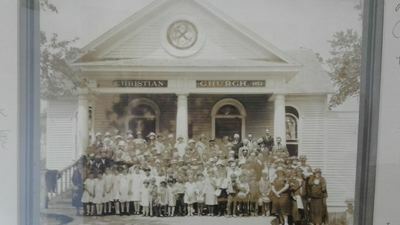 In May of that year "The Little White Church" and the Mountain Street Church united under the name of "Church of Christ". In November of 1938 the name was changed back to "First Christian Church". 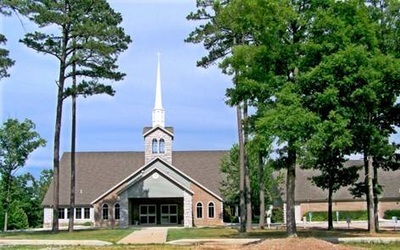 In September of 1968 the congregation voted to remain an independent congregation without association with the "Disciples of Christ" restructuring movement, and the break was finalized in July of 1969. A beautiful five-acre parcel of land at 763 Passion Play Road in Eureka Springs was purchased in August of 1998, and paid for by July 1999. Construction on our new church building began in August 2000, and we moved into the new structure on Mother's Day, May 13, 2001. The current pastor, Mark Golaway, began serving in November of 2014 as our Associate Minister. We called him as our Pastor in October of 2015.